Updated at 5:30 p.m. Tuesday Nov. 13. Thurmond has not only erased the 86,000 vote lead Marshall Tuck enjoyed last Wednesday, but as of Tuesday at 5:30 p.m. now leads Tuck by a 67,,000 vote margin, according to the latest figures released on Monday afternoon by the California Secretary of State. Someone needs to investigate and explain how late votes and recounts virtually always go one direction. It’s a statistical impossibility. You may need to go back to statistics school. One of the great things about the internet is the chance to watch a lot of people who care about elections – both professionals and hobbyists – play with the tools and create estimates both before elections and during the counting. You can find them on Twitter or on your choice of election-themed blogs and websites. They work out things like the plausible percentage each candidate has to hit in each county to win, and can say things like “Candidate X is only getting 55% of the vote in county Y, and she’s unlikely to win if she can’t win this area by 65%” because they know the past voting history of the various areas as well as the demographics. There are real demographic differences between the people who mail in their votes early, those who mail on the last day, and those who vote in person on election day. This is a pattern that is generally seen in every jurisdiction too, not just California. If you’re an educator, you could probably make a pretty fun lesson around estimating election returns and comparing them to the real life results. There’s a lot of use of percentages, spreadsheets, disproportionate fractions, etc. It’s really clear that winning a small area with a few hundred voters with 80% isn’t nearly as good as winning a big area with 20,000 voters by 55%. You can see the spreadsheet shared and updated that shows the ballots so far, estimated ballots remaining, etc, and view the history to see earlier versions. Something like this is what all the people who call races on election night use. I haven’t researched the figures for this comment, but it seems obvious that voting by mail has become a much bigger thing — it used to be viewed as *absentee* voting and intended only for people who were away or incapacitated on election day. Now VBM is just a normal option. I vote by mail because I just find it easier, and my husband walks to our polling place because he likes the process. Regarding the “100% of precincts reporting,” that’s what the secretary of state and at least my county’s election department post on their websites, so the media has to make a point of calling attention to the vast number of not-yet-counted votes after election night. The reality is that only a percentage of people eligible to vote register, and only a percentage of registered voters actually vote. The notion that there’s massive voter fraud is … well, that’s a very flattering tinfoil hat. The media really needs to change how it reports on election night and stop giving that “100% reporting” line on Tuesday night when the law says that ballots that are delivered as late as Friday will be counted. As more counties and more individuals move to vote-by-mail as the more convenient option, we are simply going to have to be more patient. I was pleased to see in my polling place a pollworker cheerfully explaining to a person who had recently moved how to file a provisional ballot. I’m proud to live in a state where every vote counts, where people aren’t disenfranchised by long lines wasting their time, and where the voting process is meant to be accessible to every citizen. The Secretary of State has not certified results yet. It’s important not to confuse 100 percent of precincts reporting with 100 percent of the votes. The former simply says that all polling places where people cast votes on Election Day have sent in their results. There are millions of uncounted votes because California makes a strong effort to allow people to cast provisional votes, which then must be verified, and to receive mail-in ballots postmarked on Election Day for up to three days later. The Democratic Party opposed the Citizens Redistricting Commission, as passed by voters in 2008 and extended to congressional districts in 2010. The idea was pushed by Republican Gov. Arnold Schwarzenegger. A nonpartisan, impartial method of drawing district lines by itself won’t change election results for a Republican Party whose voter registration continues its sharp decline. Daniel is entirely correct John. This state, especially in the blue arenas are totally full of malfeasance and skullduggery every day. Just take a peek at Fresno County over the last few decades. How do 19,000 or 1,900 votes suddenly appear out of nowhere for Costa? Also, John your comment on gerrymandering is more to the blue side of the fence than red. Please let’s be clear on that one! More important, I just saw a LAT’s online piece where there are over 4.9 million ballots still to be counted! Huh? If that is the case, why are they certifying voter results when so many are very close? The Democratic Party opposed the Citizens Redistricting Commission, as passed by voters in 2008 and extended to congressional districts in 2010. The idea was pushed by Republican Gov. Arnold Schwarzenegger. A nonpartisan, impartial method of choosing drawing districts by itself won’t change election results for a Republican Party whose registration continues to decline. There has been so much voter fraud in California, I don’t trust any results. I was born here in 58 and what I’ve seen is disgusting and disgraceful. From the DMVgate oops illegal voters to the questionable poll operations. Uncle Sam should lower his head in shame for letting this happen. Best I can tell, Daniel, there has been minuscule to no voter actual fraud in California. Real fraud is gerrymandered districts and deliberate disenfranchisement of minority voters — in other states. 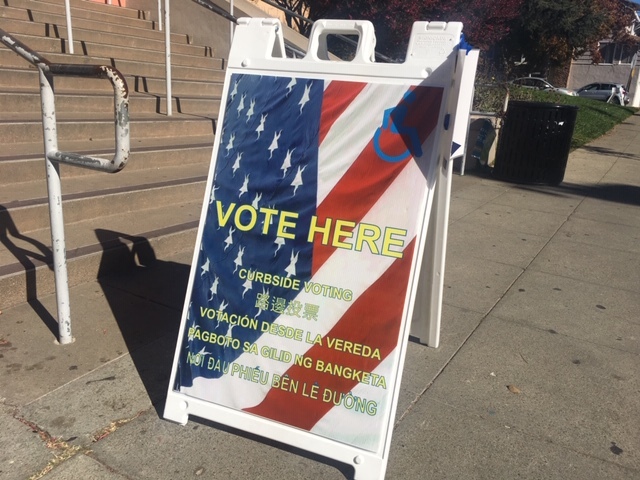 California is one of the few states that lets all its citizens vote and counts every vote cast. Takes a bit longer to count than the vote-surpressing/tossing states favored by the anti-democratic right.